Over the course of helping to build OstoSolutions, I have had the opportunity to speak with many people about their experiences and concerns living with an ostomy. One of the most common “quality of life” concerns is pouch disposal. Many ostomates find the odor left by simply disposing of the bag in the trash embarrassing, so much so that some fear traveling or even leaving their homes just to visit friends and relatives. In addition, pouch users, and those in the health profession who work with them, are very concerned about the unsanitary nature of many pouch disposal methods, which can leak, spill and otherwise contaminate hands and changing areas. Prior to using the Ostomy Pouch Disposal Seal, our customers have tried everything from plastic zipper baggies and aluminum foil to specially purchased discrete disposal bags. However, based on the feedback I’ve heard from them, none of these methods really solved the problems of odor, or of sanitary disposal. This being the case, they were overjoyed when they discovered OstoSolutions Seals, noting that they’ve really granted them peace of mind regarding disposal odor and cleanliness. They’re now enjoying the freedom that goes with that. Using the Seals is more sanitary than previous disposal methods, such as plastic baggies or black zipper bags. It’s all too easy to spill the contents of a pouch when placing it into a bag or puncturing the bag, as opposed to snapping on a Seal. The seals come in a variety of sizes designed for secure placement on all major manufacturers’ pouches. 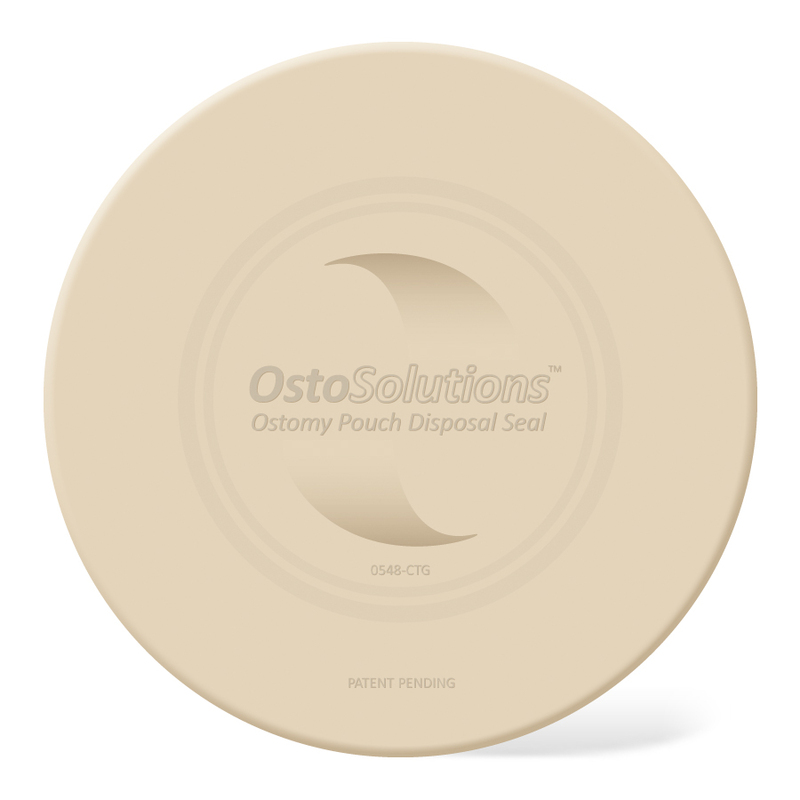 As part of an overall infection control plan, which includes taking good care of the stoma and thorough hand washing following a pouch change or drainage, Ostomy Pouch Disposal Seals can help ostomates change and dispose of their pouch in a cleaner manner – all while improving quality of life by removing disposal odor concerns. If you have any questions about the Seals, please check out the FAQ section on our website at www.ostosolutions.com, or write to OstoSolutions at info@ostosolutions.com. Please “Like” us on Facebook and follow us on Twitter @OstoSolutions to read inspiring stories from Seal users, and to keep up on special offers and promotions.